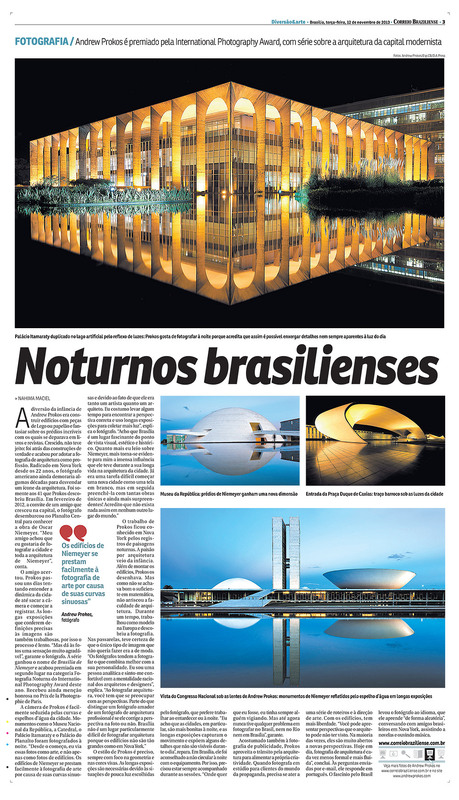 Full page article about Andrew’s photography in Correio Braziliense newspaper. Correio Braziliense is the newspaper of Brasilia and one of the main national newspapers in Brazil. Also: Read the article online.